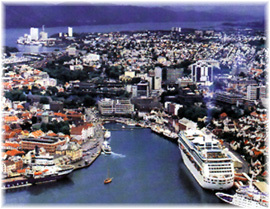 After two stable years of cruise activity, Stavanger is expecting a record-breaking year in 2019. The number of expected calls will be up by 30% and passenger numbers are set to rise by over 45%, compared to 2018. In addition Stavanger has now become a year-round port of call with cruise calls booked every month way into late 2021, explained Anders Bang-Andersen, director of cruise development City and Port of Stavanger.